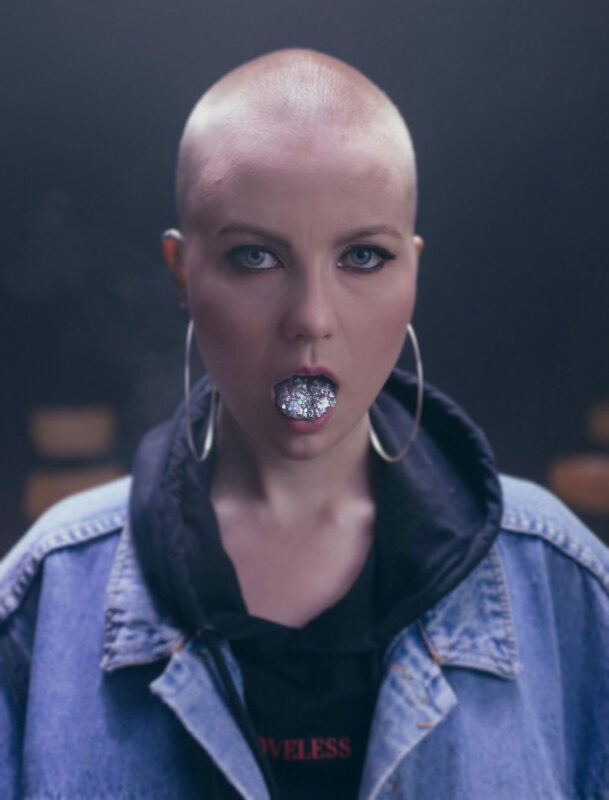 In her materials Fanni Sjöholm, known as F, combines elements from rap, pop and electronic music. Having a strong musical background, this Turku-based singer-rapper-songwriter is authentic and uncensored artist. She was signed to Universal Music Finland in 2017 and released her first single ”OVIKELLOO” later that year. F’s singles such as the debut ”OVIKELLOO”, ”Hajoaa” and ”Katastrofin aineet” are familiar from radio. Her latest release is ”Kärpänen”, released at the beginning of the year with the Finnish rapper Pyhimys. In the spring of 2019, F is supposed to release her first full-length album. Known as a strong and impressive live performer, F has already been the warming act for the US rapper Azelia Banks and for Pyhimys’ Tapa Poika -tour. She is also a part of D.R.E.A.M.G.I.R.L.S. -rap show.